Compare the 3D constructed human face with AI trained standard 3D beautiful face or 3D celebrity faces. Medical beauty service can be more convenient and efficient. 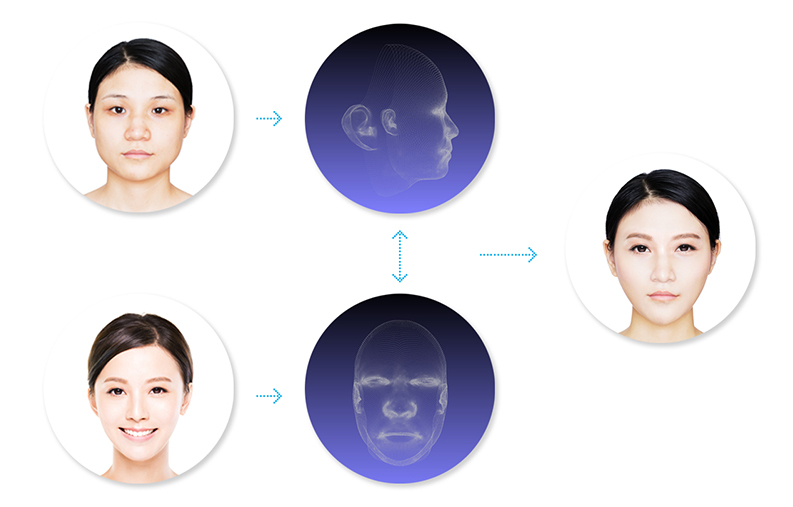 Support precise 3D human face reconstruction on mobile devices and perform professional 3D capture result on consumer level camera by AI empowered 3D super resolution technology. Support 3D date compression of accurate recovery,simplified storage,original encryption algorithm, high data security.